Best known as a founding member and bassist of BLUE ÖYSTER CULT for sixteen years, who also played piano, keyboards and guitar, Joe Bouchard has nine gold and two platinum records to his credit. As a songwriter, he wrote many BOC songs including the very popular "Astronomy", which was covered by METALLICA, and the band's second single, "Hot Rails To Hell". 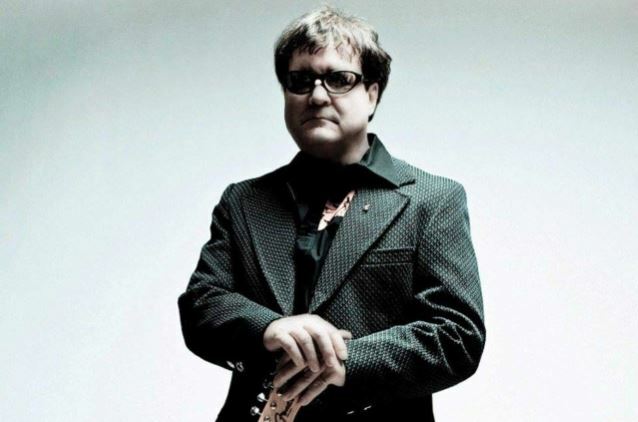 Bouchard retired from the legendary band in 1986 and since then, the multi-instrumentalist has become a composer, producer, engineer, teacher, and author, and has released three solo records. 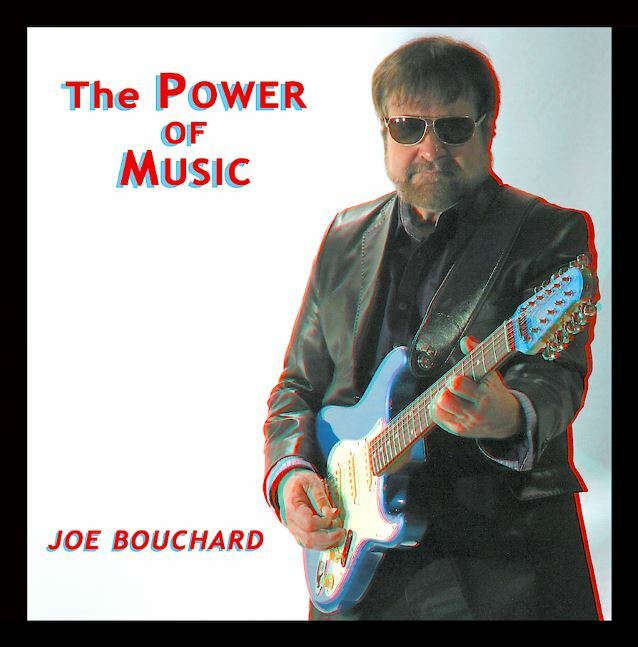 Following the release of 2014's "New Solid Black", Bouchard will release his new offering, "The Power Of Music", on April 29. The record will be available on disc and vinyl, and the CD version has a 3D cover with personally designed 3D glasses available with each autographed disc through Bouchard's web site. In addition to his own recordings, the lauded musician has recorded sessions and created song arrangements with different artists over the past two decades. Most recently he recorded guitar on a cover of Alice Cooper's legendary "I Love The Dead" for the critically acclaimed Mick Jagger/Martin Scorsese HBO production "Vinyl". The track, produced by punk icon Don Fleming, was recorded at the famed Electric Lady Studios and also featured Dennis Dunaway, who played bass on the original recording, and Bouchard's brother Albert on drums. Bouchard began working on "The Power of Music" in August 2015, and the album features seven new songs and two covers. One of the covers is the BOC classic "Career Of Evil", written by Joe's brother Albert and poet Patti Smith. "Career Of Evil" is also the title of the best-selling book by author J.K. Rowling (written under the pen name Robert Galbraith), which includes many references to the band in every chapter and will be a HBO series later this year. Other notable tracks on "The Power of Music" include the record's opener "Walk With The Devil". With hard-hitting riffs, guitar solos, delicate 12-string guitars, stomp grooves, strumming acoustics and mandolins, and a wailing vocal, the song is a retelling of the classic Robert Johnson story where he gets the secret power of the blues from the Devil at the crossroads. Says Bouchard: "The inspiration for this lyric I found in a quote where 'the old bluesmen call the electric amplifier the Devil's Box.'" Bouchard was inspired to write the track "Is He the Wolfman" when he was on the LYNYRD SKYNYRD cruise in 2012. "It was near Halloween and I was looking for material that celebrated that classic werewolf theme. I finally put the song together in 2015 with the spooky 50s theremin riffs and a rocking tom-tom part. In true 'Twilight Zone' fashion, the Wolfman ends being a spam caller who gets your number and won't give up. Scary music with a dance beat works for me." Although he has released three solo records — 2009's "Jukebox in My Head", 2012's "Tales From The Island", and 2014's "New Solid Black" — Bouchard has always considered himself "a band guy." He's been in bands since he was ten years old, played in more bands when he was at music college in Ithaca, New York, and joined the STALK-FORREST GROUP in 1970, which one year later became BLUE ÖYSTER CULT. Presently he performs with several bands including THE X BROTHERS (his band for over twenty years), and most recently the all-star group called THE GREATEST HITS ON EARTH-LIVE! His latest group, BLUE COUPE, is a superstar combo which features his brother Albert, who is also a founding member of BOC, and Dennis Dunaway, a founder of the ALICE COOPER group and a member of the Rock And Roll Hall Of Fame. BLUE COUPE has released two studio albums. The first recording, "Tornado On The Tracks", features THE DOORS guitarist Robby Krieger on several songs, and their last disc, 2013's "Million Miles More", includes guitar solos by Buck Dharma of BLUE ÖYSTER CULT, and a stunning vocal by Alice Cooper, plus many other guest artists. Bouchard also performed for U.S. soldiers in Iraq and Kuwait in 2010 as part of the classic rock all-star band called the ROCK AND POP MASTERS, which included members of ORLEANS, SURVIVOR, SANTANA and KOOL & THE GANG. With his passion for music and music education to inspire the next generation of rock stars, he has written several books for Alfred Publishing, the world's leading publisher of educational books, including "Rock Guitar For Beginners", "Beginning Rock Keyboards"and "The Total Rock Keyboardist". His latest book, "Teach Yourself To Play Rock Keyboards", was released in 2015.